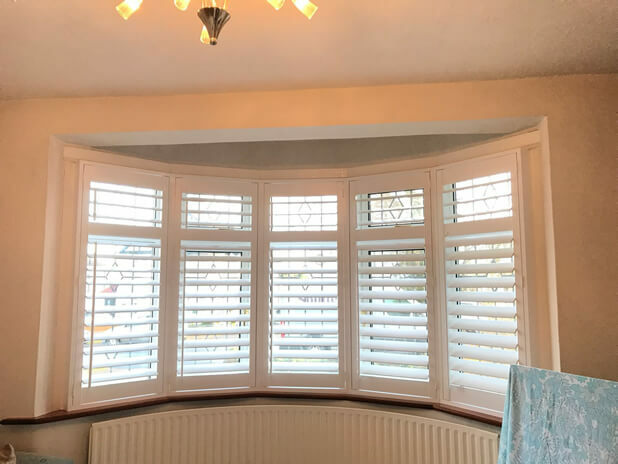 We were in East London in the town of Ilford to install some shutters we had created for two bay windows located in the living room and bedroom of the property. 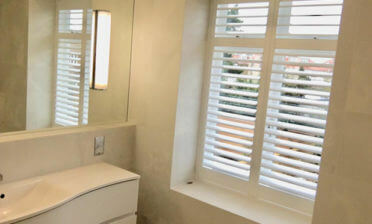 Our client Richard was keen to take advantage of the many advantages shutters have to offer on bay windows. They are the only true perfect fit, as we custom build them to the sizing and curvature of the bay window area and also a fantastic way to adjust for privacy and lighting from all angles. These shutters were crafted using MDF from our Antigua Range, a more cost effective solution but with the same look when finished as our other hard wood ranges. 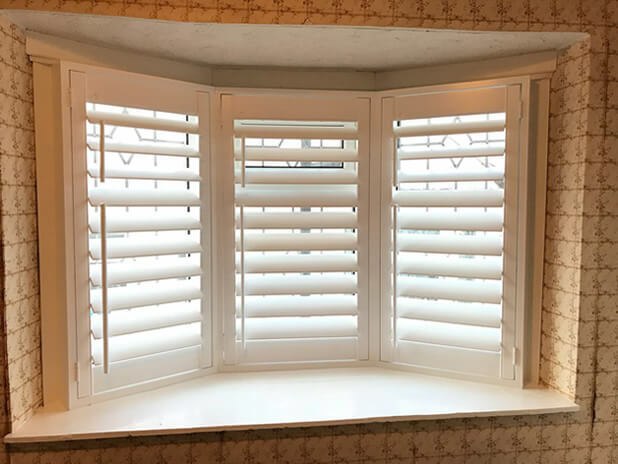 Our customer opted to have these shutters in pure white with matching hinges which is very popular among our clients and work with pretty much all interiors. 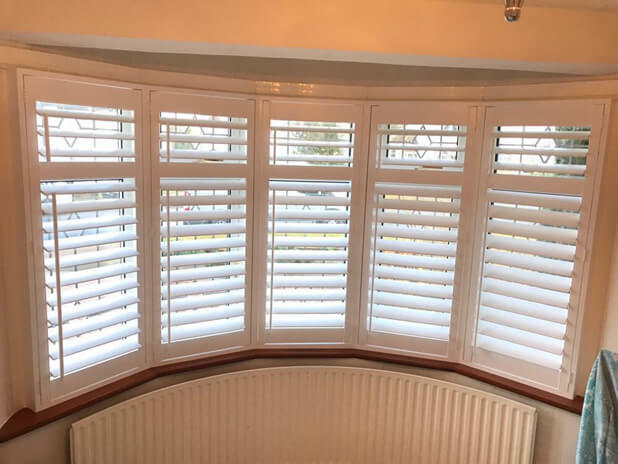 In the living room you will find full height shutters with a mid rail, not only providing strength but matching the lining of the windows behind and providing an extra level of adjustment at the top and bottom of the panels. 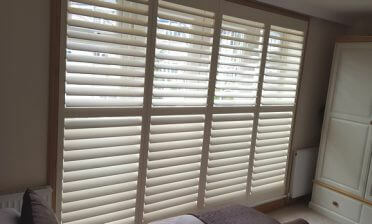 In the bedroom the shutters are of the same style but with a hidden split rather than a mid rail. These shutters were not as tall as the panels in the living room so looked better without a visible split, but still has an invisible split built in for the adjustments as with the other shutters! 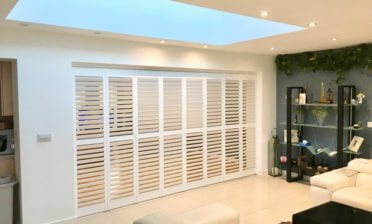 All shutters feature thick 89mm louvres with offset tilt rods. One of our expert installers Ben carried out this job, leaving another impressed customer to enjoy their new shutters for years to come!